Our Urban location offers a wide variety of dog related products from food (kibble and raw) to leashes! Our office staff is more than happy to help you with any questions about certain products you may have, or if you are just looking for simple solutions for you and your dog, we can help! We at Playful Paws believe in giving our dogs the best quality items and this includes the food that they eat! This is why we only carry food we would feed to our own dogs, if you have any questions regarding the brands we carry the office staff is here to help! We have a wide variety of different toys for you to choose from. 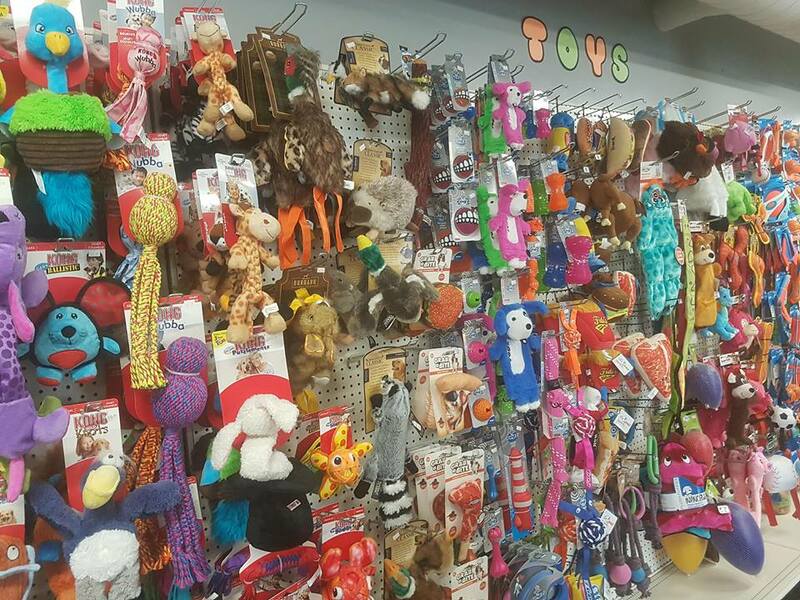 From tough toys for those tough chewers, to fetch toys for those one on one play sessions we have a good selection your dog will love to shop through. From bully sticks, to training treats we've got it all, we have a variety of different brands and types of treats for you to spoil your pup with! We Carry a very colourful selection of collars and leashes for your choosing! We also have other walking assistance tools like head halters, harnesses and more! We have an assortment of different grooming supplies from shampoos, to nail clippers and even tooth paste! For our supplements we carry fish oils, coat boosters, and other supplements you can add to improve your dog's day to day life!